We’re confident that you’ll soon find out the fact that Ultimail is the most versatile and complete email template available on the market. With literally over 290 completely different modules and the new BigBangThemes builder, this email template is certainly going to set a new standard of expectations for you and for your clients needs. 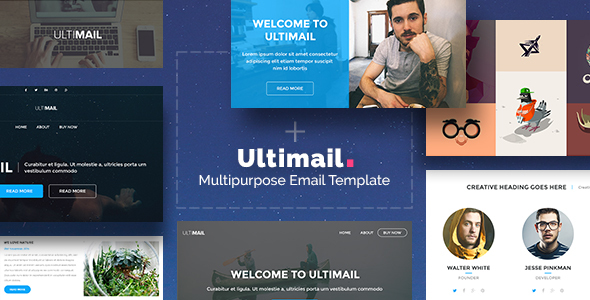 Knowing the fact that emails must be extremely well thought in order to catch the attention of your clients, we’ve made sure that Ultimail has loads of templates that are built with your clients in mind. We simply tried to include anything you could possibly need to use in order to build the best email campaign your company has ever sent. Purchasing Ultimail doesn’t only come with access to the best email builder tool available on the market and the most versatile email template, it also comes with amazing support and a highly trained team of experts ready to help you out and make sure you easily manage to make the best out of our email builder.